TUTUNUI-WANANGA-LOKAHI: "U.S. NAVY FRENCH-FRYING CETACEANS GLOBALLY: WHEN ARE WE GOING TO WAKE UP?" 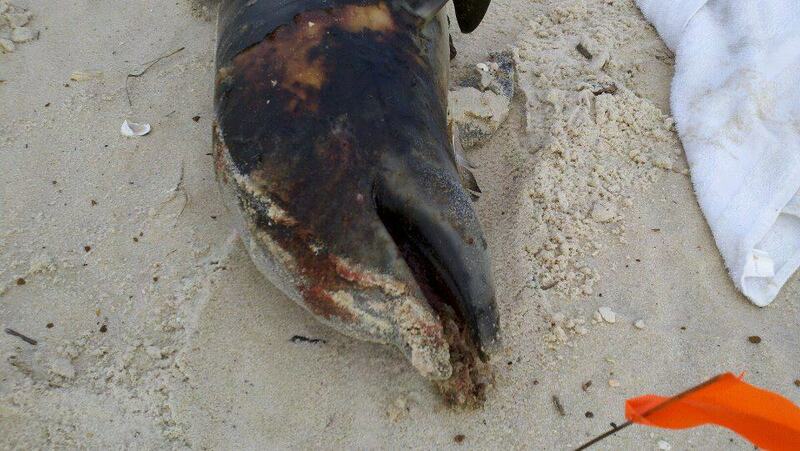 "U.S. NAVY FRENCH-FRYING CETACEANS GLOBALLY: WHEN ARE WE GOING TO WAKE UP?" The U.S. Navy claims "national security" to be their "important mission" but this is merely a euphemism that started under Eisenhower to dupe the American people into accepting the fraudulent 'cold war' agenda, of which the 'war on terror' is the latest version. 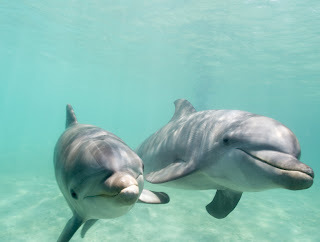 The REAL enemy of the whales and dolphins is the U.S. military, in particular, the Navy, who owns and operates more nuclear reactors than all western nations combined, not to mention HAARP, which is capable of causing earth-quakes, disrupting weather, and frying cetaceans in the water. Interestingly, the Navy under-writes or owns out-right the vast majority of marine biologists in the world, but operates LFA- and other sonars on hundreds of its vessels, as well as portable HAARP-like weapons systems. What the U.S military REALLY does is 'make the world safe for trans-national corporations', depopulate regions with resources like oil, strengthen globalist hegemony and facilitate 'regime change' which is another euphemism for over-throwing legitimate governments who have not capitulated to "freedom and democracy." The American tax-payer PAYS for all this and is therefore complicit, but they don’t notice because they are too busy watching Obama sing on television. YET ANOTHER 'sonar incident' in the San Juan Island region, with U.S. Navy presence CONFIRMED. What possible meaning do "marine sanctuaries" and "protected zones" have? ZERO. What good is writing a letter to leaders of techno-fascism and organizations funded by the U.S. Navy like NOAA? It makes great "PR" for your 'environmental organization' and gives the impression that you are doing something constructive with all that money the public gave you. Does it matter? NO. What relevance is there to citing research funded by the U.S. Navy conducted by 'scientists' at Navy-subsidized institutes like Scripps and Woods Hole? ABSOLUTELY NONE. Only when EACH AND EVERY ONE OF US WAKES UP AND STOPS ACTING LIKE A 'SOLDIER IN WORLD WAR 3' THROUGH THE SUMMATION OF OUR DAILY ROUTINE WILL WE THEN HAVE A CHANCE TO REVERSE THE UNENDING ECO- AND GENOCIDE WE ARE INFLICTING ON THE EARTH AND EACH OTHER. Most 'Americans' don't even believe that 'technetronic' weapons exist. 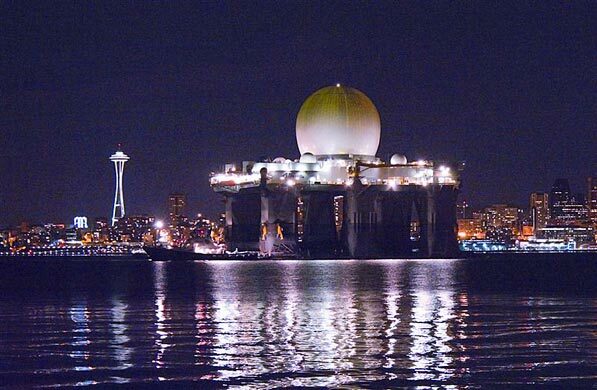 NOTE: The posting below refers to what Boeing calls an "SBX RADAR PLATFORM" as a "floating HAARP". It's not "HAARP" per se, as HAARP is located in Alaska. What they mean is that it's likely to be a RELATED radio-frequency weapons system, and NOT just for 'detecting missiles' if at all. Remember, until 1947 what is now called the Department of Defense was more accurately called the Department of War. The origin of the Orwellian euphemism of 'national security' is bound up with the nazification of America that began with the importation of Reinhard Gehlen and Operation Paperclip. A letter signed by 16 regional scientists and sent to leaders on both sides of the border March 1 asking for silencing of military sonar in the Salish Sea was especially timely as another sonar incident occurred on February 29. 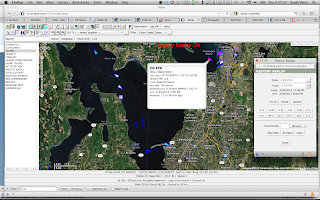 Washington State Ferries Operations Center called the Whale Museum to report ferry workers and passengers on the Clinton-Mukilteo route heard sonar sounds above water. More information about the incident is available here. The open letter was motivated by the Feb 6, 2012, use of sonar by the Canadian Navy in U.S. critical habitat of the endangered southern resident killer whales, and the observation 36 hours later of southern residents in Discovery Bay where they had never before been sighted. The letter signed by scientists who research killer whales is posted below. "As biologists and bioacousticians who study killer whales of the Salish Sea, we ask that the U.S. Navy and Canadian Navy cease using sonar in their critical habitat. 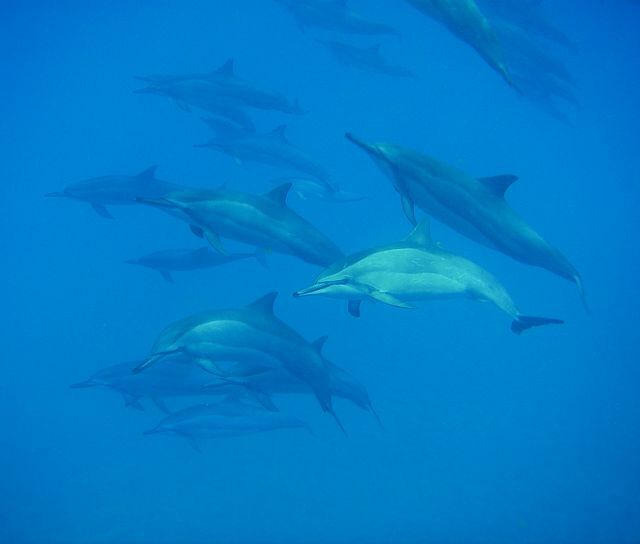 Polluting their environment with intense underwater noise like the “pings” from mid-frequency active sonar poses significant risks to these Federally-listed species. On February 6, 2012, the Canadian Naval frigate HMCS Ottawa used its sonar system in critical habitat of the endangered Southern Resident Killer Whales during a training exercise east of Victoria, B.C. The calls of the Southern Residents’ K and L pods were heard 18 hours later in Haro Strait, and sub-groups of K and L pods were identified 36 hours after the sonar use in Discovery Bay – a location where Southern Residents have never been sighted in 22 years of records. These observations are reminiscent of an incident in May, 2003, when the USS Shoup’s sonar training exercise caused similar unusual nearshore surface milling behavior of Southern Residents in Haro Strait. New limits should be put on the use of mid-frequency active (MFA) sonar, particularly in the critical habitat of the Southern Residents. Killer whales are sensitive to the frequencies emitted by MFA sonar (2-10 kHz) and use the same frequency range to communicate with calls and whistles. Because MFA sonar is intense (source levels ~220-235 underwater decibels), it could permanently or temporarily deafen whales that are unexpectedly nearby and thereby impact their ability to forage, navigate, and socialize. Even temporary threshold shifts could be deleterious because the recovery of the Southern Residents hinges on their use of echolocation to find, identify, and acquire their primary prey, Pacific salmon. Current procedures for mitigating underwater military noise are inadequate to protect either the resident or transient ecotypes. These procedures depend on the ability to detect whales within 1000 yards (U.S.) or 4000 yards (Canada), which neither passive acoustic listening nor visual surveillance can reliably accomplish. The unprecedented sighting of Southern Residents in Discovery Bay suggests that they may have been present during the pre-dawn sonar exercise on February 6 while remaining undetected by the Canadian Navy’s marine mammal monitoring procedures. Moreover, we know from the 2003 Shoup incident and the scientific literature that MFA sonar can disrupt marine mammal behavior well beyond the current mitigation distances, particularly in the sound propagation conditions of the Salish Sea. We therefore urge the U.S. and Canadian Navies to restrict MFA sonar and other intense underwater sound sources in all training and testing conducted in the Salish Sea. By protecting the whales’ acoustic habitat, our Navies can help further their respective country’s obligations to ensure the recovery of these endangered iconic populations while still fulfilling their important National security missions." Washington State ferry workers and passengers on the Clinton-Mukilteo route heard sonar sounds above water (presumably coming through the hull) that lasted for about an hour this afternoon (Wednesday 2/29/2012). Jenny Atkinson, Executive Director of The Whale Museum said that the Washington State Ferries operations center had called the Musuem’s stranding/sighting hotline to report that the ferry workers on the Clinton-Mukilteo run were complaining about sonar noises this afternoon. * 15:54 First call from ferry workers to operations center stating that sonar pings had started 5 minutes before. He also learned that: “The crew in the engine room, the captain, and passengers could hear the sonar, at times so loudly that the ferry agent on land could hear the sonar coming up through the ferry while it was at the dock…. Location of the Coast Guard cutter FIR Location of the Coast Guard cutter FIR during the afternoon when sonar was heard. With no other suspect vessels archived in the AIS data, we fall back to the likelihood that the U.S. Navy was involved. Jason wonders “Is is possible that they would test sonar from the dock?” Interestingly, Mike Francis of Oregonian foresaw that such “pierside testing” was likely to become a contentious issue when he wrote about the new Navy proposed EIS on Monday (2/27/2012). Station Everett is ~6.5 km from the Mukilteo ferry terminal. So, are there any vessels currently at Naval Station Everett that carry Mid-Frequency Active sonar? 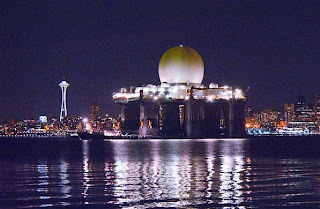 Well, for starters it is the home port of our old friend the USS Shoup which just a few weeks ago emerged from 7-months of improvements in Seattle, including to its “combat systems.” It seems likely that the Shoup was testing its AN/SQS-53C(V)4 Hull Mounted Sonar (or possibly an updated system). The Navy was conducting pierside testing of mid-frequency active sonar at Naval Station Everett yesterday. This is routine testing that is a longstanding and ongoing requirement, and is an essential process in preparing a Navy ship to get underway. Pierside testing is not continuous, but consists of very brief transmissions of acoustic energy interspersed with longer silent periods. Hopefully, this answers your question? 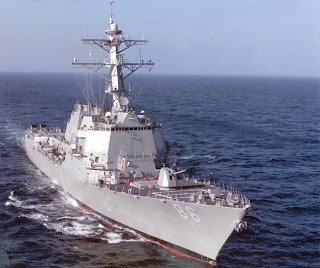 Sheila Murray responded to further inquiries, adding these details: After receiving approval from Commander Pacific Fleet, the Navy was conducting pierside testing of mid-frequency sonar equipment Wednesday afternoon…. 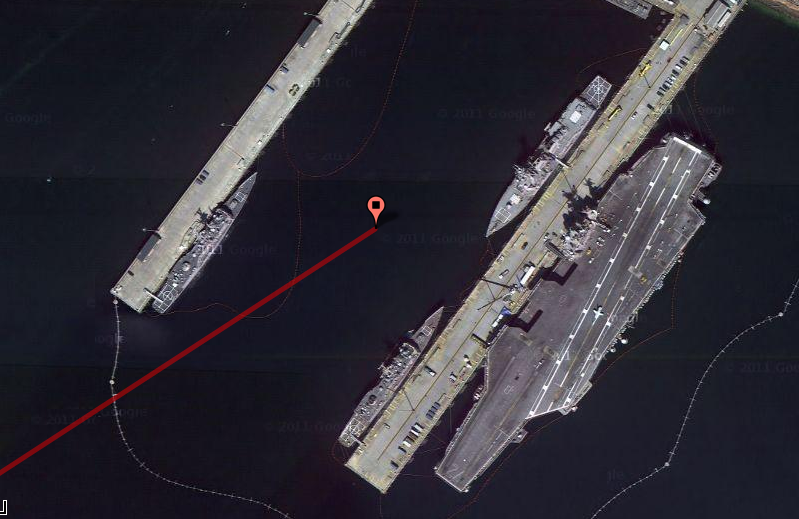 USS Shoup was at Everett conducting pierside testing of mid-frequency active sonar Wednesday afternoon. 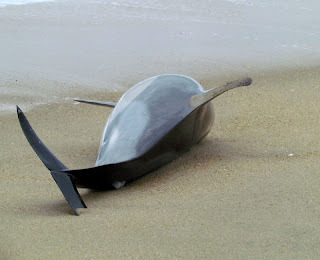 There’s more acoustic analysis to be done about the potential effects of this new sonar incident, especially since harbor porpoises have been observed more frequently in the area and a grey whale was sighted simultaneous to the sonar use. Is the U.S. Navy “pinging in the pool” again, immediately after a new EIS is out for public scoping? We’re still trying to assess whether damage was done by the sonar used by the Canadian Naval frigate Ottawa on 2/6/2012. But first we have to walk the beaches again — this time in our own backyard — looking for injured marine mammals. The Coast Guard boat FIR was anchored there again, but it is not clear if they are involved in the testing. At 4:35 pm WSF operations reported that the Mukilteo/Clinton crew again began hearing sonar again today at 1400. They made some calls & were told sonar testing will continue today until 2200 and will take place again next Wednesday 3/7 and Friday 3/9. We have had reports of a gray whale off Langley this afternoon, but are not sure how sonar impacts them. The Navy is doing the testing near one of the Grays’ favorite feeding areas at a time the whales are definitely present. "RESOLVING THE PARADOX OF INCOHERENCY AND CONTRADICTION"